In this section you will find some useful information on tiles, adhesives and some links to products and places used and recomended by Flawless Tiling. Its inportant to use the right tile adehesive for the tiling job at hand, the most expensive tile adhesive might no be the best adhesive for the job. 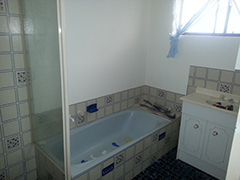 It best to ask your tiler or the tile retailer which adhesive to use before purchasing. There is the right tile adhesive for every job and location. Choosing the right tiles is also inportant because once tiles and down they are normally down for 20 years plus, and are a big and expensive job to remove. Alot of consumers just go for the cheapest tile they can find but if you consider the legnth of time the tiles will be there what is a few hundred dollars more over that period in time. Tiles cant be changed like paint. Choosing a Tiler is also important as the right tiler will make the process of laying your tiles easy and smooth. The first thing to ask is the license. Out of the 20 years plus of myself working in the tiles and tiling industry I am lucky if a customer asks to sight my license once a year. If you have chosen a tiler that resonates with you best thing to do is do a license check which can be done at the office of business and consumer affairs.. In the menu at the top of te page will have some usful info on tiles feel free the browse though.